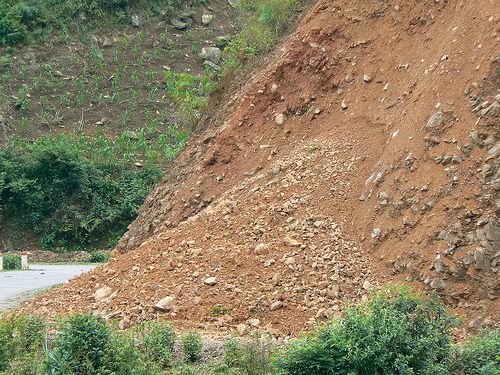 A landslide, or landslip, is a sudden and violent collapse of a natural structure (cliff) or an artificial structure (wall, building), which leads to the fall of materials. When this collapse concerns solid rocks, the term 'rockfall' is used. The result of this collapse, i.e. the pile of soil, rock or construction materials, is called a landslide.